As with all of the previous versions Apple has brought to us thus far, it is feasible to acknowledge that this new version has all the features that you will need in a phone and PDA wrapped into one. It is being called lightning by some, however if speed was the only improvement to the apple iPhone 5 some would say that it would be enough. There are several other improvements to look forward to in the iPhone 5, such as the visual quality and the panoramic view that it portrays. All you have to do is to switch to Panorama mode and be impressed by the 240 degree coverage. Look for less time on the charger as you will now have an improved battery life of approximately 8 hours of talk time, should you need it. As far as a Smartphone goes, this one is sure to impress the user with the added ability of face detection for your videos. Then there is the matter of the dock connector. If you have ever had trouble getting that phone to charge because of the design of the power plug, the new USB like connecter on the Apple iPhone 5 will be just what the doctor ordered. If the lightning speed does not impress you, the fact that it could very well be the thinnest iPhone yet, might just do it. With every generation of the iPhone comes new and improved features, such as better browsing capabilities. If it is your plan to impress your friends, this phone could easily be the one for you, with its small stature and faster processor speeds. Let’s not forget the fact that the iPhone 5 is a cellular phone first and everything else after. On the other hand, if you enjoy using your phone for listening to music, the audio improvement and its high quality recordings, will have you wondering how you could possibly survive without this upgraded version of the Apple iPhone. Save all your music on your phone and take advantage of these new benefits. Most cellular phone operators like the fact that they can use their phone to surf the web, so the fact that the apple iPhone 5 has an operating system that gives them the added benefit of Facetime, will be sure to impress the user. But one of the best things to look forward to in the new iPhone, is the price and availability which will remain much the same as its predecessor. 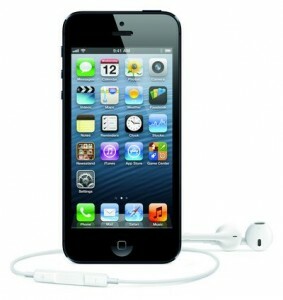 This entry was posted in Articles, iPhone and tagged iPhone 5 review. Bookmark the permalink.